Online bookings at Chutney Mary can only be made directly on their website. 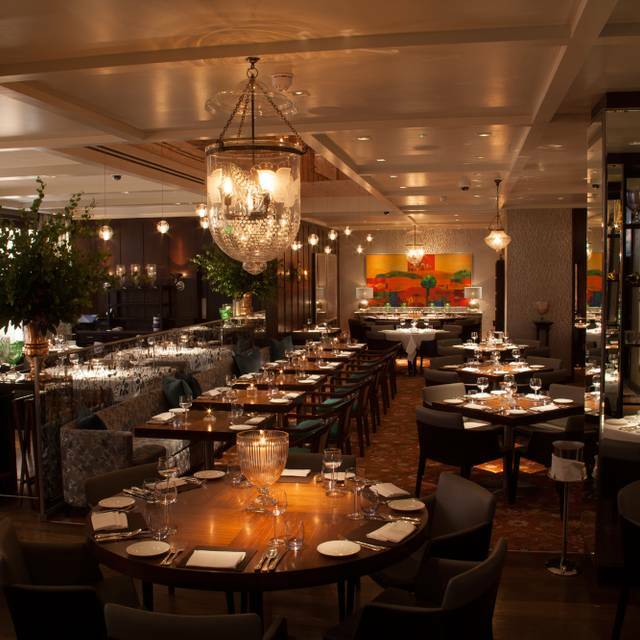 Following 25 glorious years in Chelsea, Chutney Mary has now moved to its new home in St James’s and now also has a stylish bar, two private dining rooms and a completely new set of menus to suit every time of the day, mood and taste. It is open for lunch, dinner, bar eating & cocktails. The new restaurant blends sleek, contemporary chic with references to Chutney Mary’s past, combining perfect lighting with Indian art and artefacts, comfortable furniture and fine fabrics plus unique tableware and glasses. The stylish destination bar has its own unique atmosphere. Apart from exceptional cocktails it is open from 12 noon for simple meals, light eating, coffee, and tea. It is a new & exciting venue to meet friends, hang-out or enjoy good food. The two private dining rooms can accommodate 16 and 32 people for lunch or dinner and up to 50 for cocktail parties. Lunch: Monday to Friday 12 noon – 2:15pm; Saturday 12:30pm – 2:45pm. Bar (Drinks & bar snacks): Monday to Saturday 12 noon – 11pm. Excellent all round, as a party of 4 we really had a lovely time. Will definitely be back and very soon! Excellent food, wonderful friendly staff, great service. I would highly recommend this restaurant to anyone!! The top class Indian restaurant in London. Fantastic flavours, service, and surroundings. Outstanding creative Indian haute cuisine. Flavourful, spicy but not hot with original ingredients. Upscale interior ambience. Memorable lunch experience. Great location. 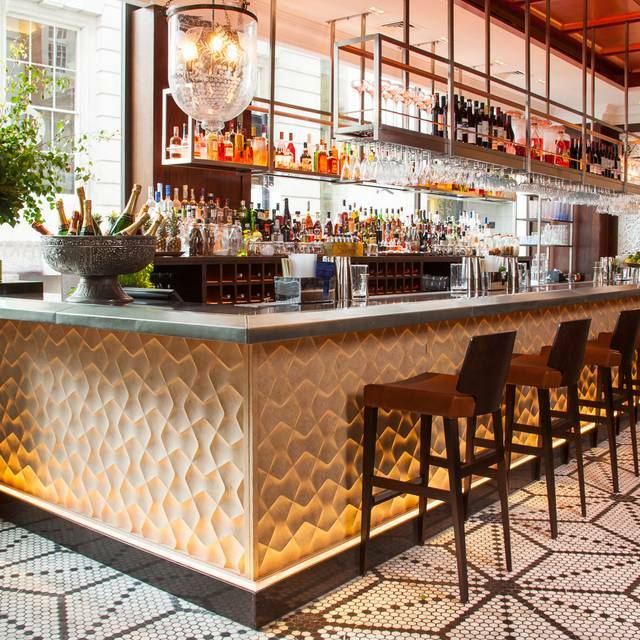 Marvellous ambience, especially the Saturday lunch jazz, and amazing value for central London. The quality of ingredients and subtle spices are delicious. Staff are also exceptionally courteous and friendly. My friends and I once again enjoyed a special lunch at Chutney Mary's. Impeccable service, delicious food and a welcoming atmosphere. This restaurant is one of my favourites in London. The food is always exceptional as is the service. I was with friends who I haven't seen for a while and I am sure we outstayed our welcome because before we knew it the lunch had turned almost into dinner and the staff were very gracious and left us chatting while they set up the dinner service. Consistently good as ever; food, service, ambience. This was possibly the most exceptional Indian meal I've ever had. I cannot fault it.....and it gave all three diners the wow factor which these days is rare. Going back as soon as the bank account allows. Chutney Mary's has become one of our favorite restaurant, overall, and our favorite Indian restaurant. It's location on St. James is much more convenient that its former location. It is an elegant space, that matches the quality of its food! You cannot go wrong with any of the dishes. For those with gluten sensitivity, they actually have a gluten-free naan!! We make it a point to eat here every trip to London, and actually prefer it to her sister restaurant, Veeraswamy. Reservations are usually a must. I knew this restaurant who was excellent but it is not any longer the case. The menu at 55 pounds was similar to a canteen. Fantastic meal. Lobster starter and monkfish main were fabulous. Nice place. The food is excellent and the decor is smart. A little lifeless. The food is tasty and well spiced. The service is good if a little relaxed. Prices are fair. Tough one. I really like it but there is not much atmosphere. Not sure that the office dwellers see much attraction in lunchtime Indian food. I miss the beautiful gardenatmosphere from the old location but the newer spot is business elegant and very comfortable. Lots of vegetarian options and informed wait staff who helped us greatly about dishes without garlic on behalf of someone in our party that is allergic. Will definitely return. I won't go back. Nice room, average food and horrible service. They are living on reputation. Our fifth visit to Chutney Mary demonstrated the quality and creativity of the food has remained consistently high...the shredded crab, scallop and cucumber soup starters were all exceptional. Entrees of lamb shank and Goa green chile chicken were delicious and flavorful. Service is attentive, friendly and helpful...and a wonderful cocktail menu and wine list make this a favorite stop in London. Arrived just after 21:00 on a Thursday and the place was packed! Noise levels were a bit high, but it diminished with the crowd. Great food and excellent service, as ever. Always good for a return visit. Brilliant,very fine food,pleasant service,ambience,a bit noisy,but that is part of it. One entree was so bad they removed it from our bill. It was the prawns. Which were over cooked and tough. The green curry/chili chicken was not that great either. We were more or less led through the menu by the staff which insisted on the entrees. Would never eat there again. Another table had quality issues also as the manager was dealing with them and their complaints. Outstanding. Creative, balanced and very well done. The food was excellent, the decor as well. My only complaint is that the deserts (and we tried most of them) were inconsistent (some very good, some ok). Appetizers: duck salad, scallops and crab cakes were all outstanding. Enter: the grilled sea bass was excellent, as were the side orders of okra, breads etc. dessert (cherry srikhand) was very very good. Really loved the breakfast, so different than all other venues, but sadly very quiet, so I fear they have stopped serving breakfasts now. Lovely food, although expensive but would recommend a million times over. Best food I've eaten in a long time. Never disappoints . Good food in a very nice restaurant. Will be back. Fresh produce never fails. Perfectly cooked curries. Lovely ambience and great service. It's my top Indian based restaurant to date. Well done guys. What a fabulous place-food was delicious, the service impeccable and they served 8 people with the greatest of ease! The food was delicious and well spiced. The restaurant is stunning but a bit noisy at least for my hearing. Not sure how often I will use it though as a lunchtime curry is not a frequent event. Great food, great service and one of the best for fine Indian dining. Lovely lunch; lamb starter a must. It was on the quieter side but that didn't spoil our enjoyment. Lovely to see families with a children's menu. Service perfect. Beautiful dining room. Great restaurant, this was our second visit to Chutney Mary's since it moved address and the food was amazing. Try the Lobster Chilli Fry as a starter if you like something spicy..! Was positively surprised to see spelt naan and gluten free rotis. Food was delicious and could be eaten with less guilt! Outstanding service, ambience and presentation. Disappointing in portion sizes, especially given extremely high prices. Food was excellent. Service was outstanding--prompt, knowledgeable, with a smile.